Ever since I started blogging my obsession for stationary has grown and is now something I rely on heavily to keep myself organised both within my full time job, and also with all of my blogging and social content. I thought today i'd share a few of my current favourite stationary pieces, ones that i'd highly recommend to anyone who is a bit of an organisation freak like myself. Finally a recent addition into my stationary collection (if you can call it that), is the Kate Spade 2017 Agenda (£25.35) which I picked up from my local TkMaxx for an absolute steal of a price. 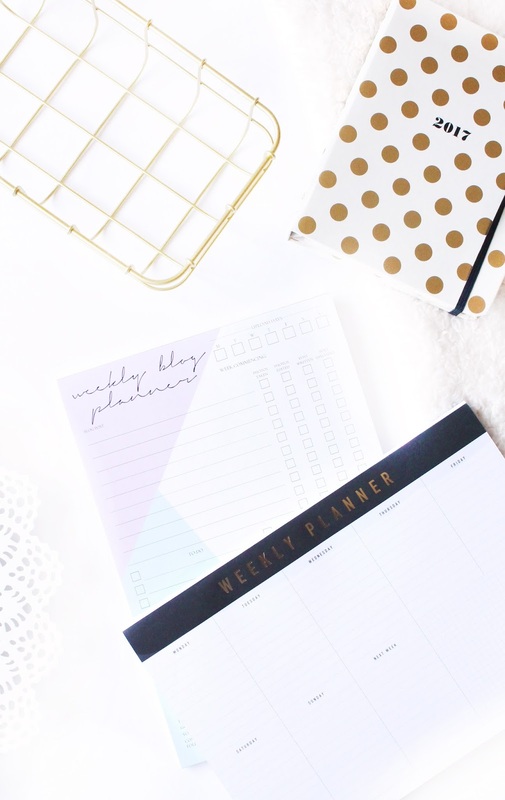 Although we are halfway through the year I have a lot going on in the next few months and I really need to be able to keep on track with everything and so far i'm loving having this agenda, and is keeping me that little bit more organised, and it feels great!